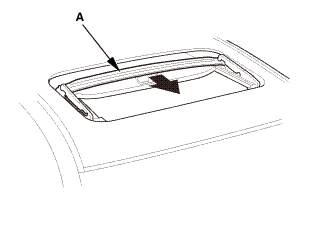 Remove the moonroof link cover (B). Remove the moonroof glass (A). Tilt up the glass bracket (A). 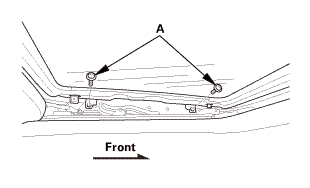 Disconnect the drain channel rods (B). 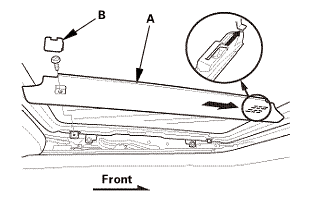 Slide the drain channel (A) forward. Remove the drain channel (A). Install the drain channel (A). 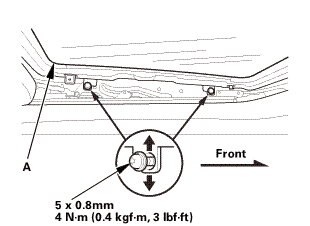 Slide the drain channel (A) rearward. 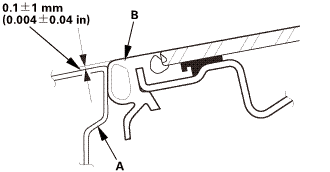 Connect the drain channel rods (A). Tilt down the glass bracket (B). Install the moonroof glass (A). Check the roof panel (A) should be even with the glass weatherstrip (B), to within 0.1+1/-1 mm (0.004+0.04/-0.04 in) all the way around. 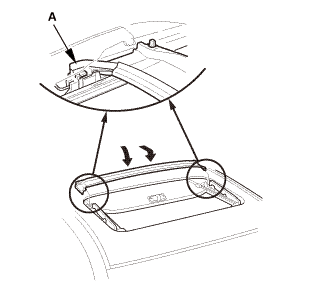 Adjust the moonroof glass (A) position. If necessary, repeat on the opposite side. 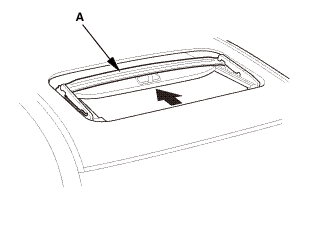 Install the moonroof link cover (A). 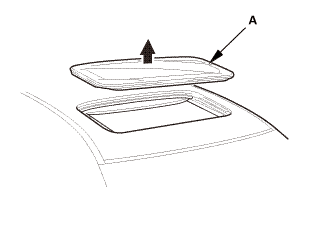 The moonroof was moved manually while the battery was dead or disconnected. The moonroof motor was replaced with a new one. Any of components related to the moonroof were replaced. Close the driver’s door, and keep it closed until the procedure is complete. Press and hold the tilt switch, and turn the ignition switch to ON (II). Release the tilt switch, and turn the ignition switch to LOCK (0). Repeat steps 3 and 4 four more times. 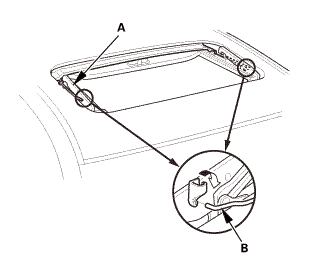 Press and hold the moonroof open switch for at least 3 additional seconds after the moonroof is fully opened. Press and hold the moonroof close switch for at least 3 additional seconds after the moonroof is fully closed (tilted). 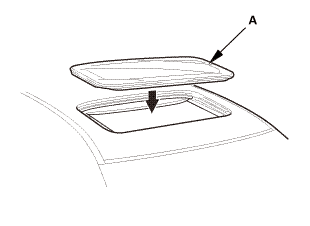 Confirm that the moonroof control unit is reset by using the moonroof AUTO OPEN and AUTO CLOSE function.